This week we celebrate the Fourth of July — America’s independence day. 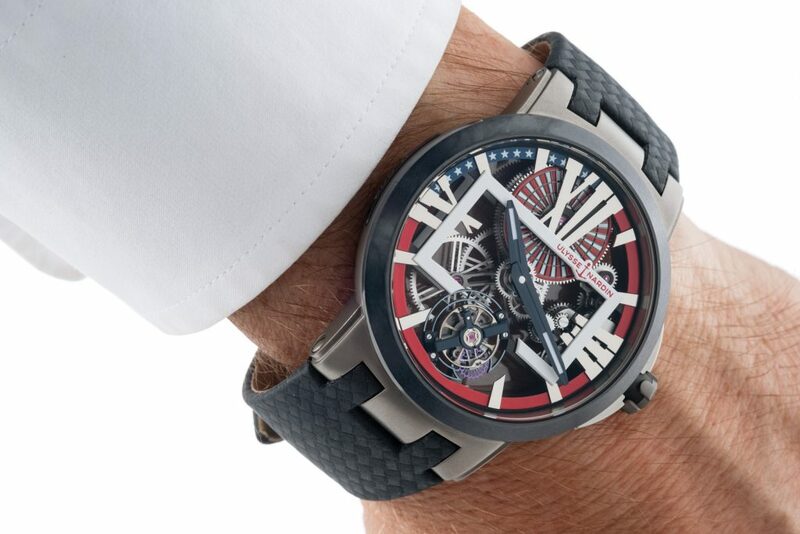 To celebrate, Ulysse Nardin unveils the all-new Executive Skeleton Tourbillon “Stars & Stripes” watch, which officially launches on the 4th of July and is exclusive to the United States market. The Executive Skeleton Tourbillon “Stars & Stripes” not only pays tribute to America, but also heralds the brand’s long-standing history with the US navy, dating back to 1902 when Ulysse Nardin first served as the Navy’ nautical supplier of deck chronometers. The Ulysse Nardin Executive Skeleton Tourbillon “Stars & Stripes” watch is powered by the in-house made UN-171 mechanical movement. The movement is actually painted using a micro-painting technique with a brush whose hair is the width of a single eyelash. The miniature paining is inspired by the American flag and features 13 white and red stripes, and 50 white stars on a deep blue background. The skeletonize caliber reveals the intricately finished hand painting and hand finishing of the components. The watch offers seven days of power reserve. 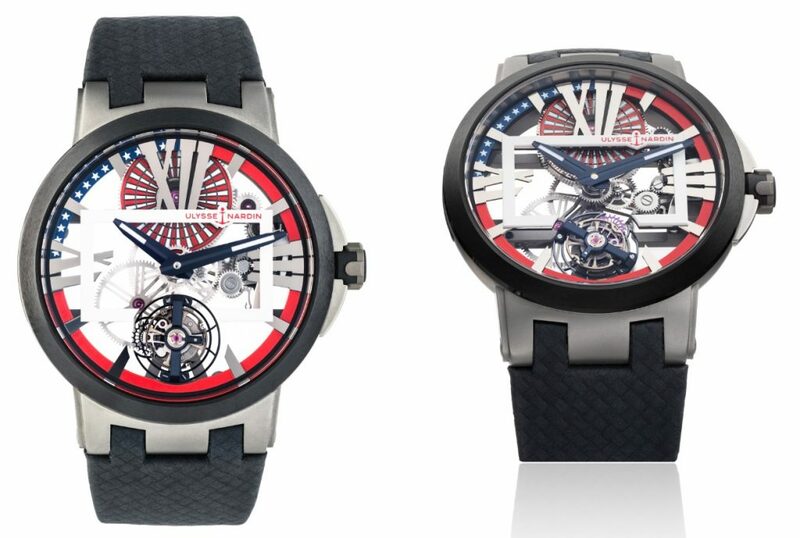 Ulysse Nardin Executive Skeleton Tourbillon Stars & Stripes watch is ultra lightweight thanks to the titanium case. The titanium case makes for an ultra-light feel, and the blue ceramic bezel, blue crown and blue carbon like leather strap complete the tribute to America. Just like the number of states in America, the watch is being made in a limited edition of just 50 pieces, each retailing for $46,000. The US Navy selected Ulysse Nardin as its nautical supplier in 1902, thanks to the fact that the brand’s marine chronometers consistently won the Washington Naval Observatory’s competition. The brand was chosen to equip all of the Navy’s torpedo boats, and Ulysse Nardin continues to be an essential part of US naval ships. 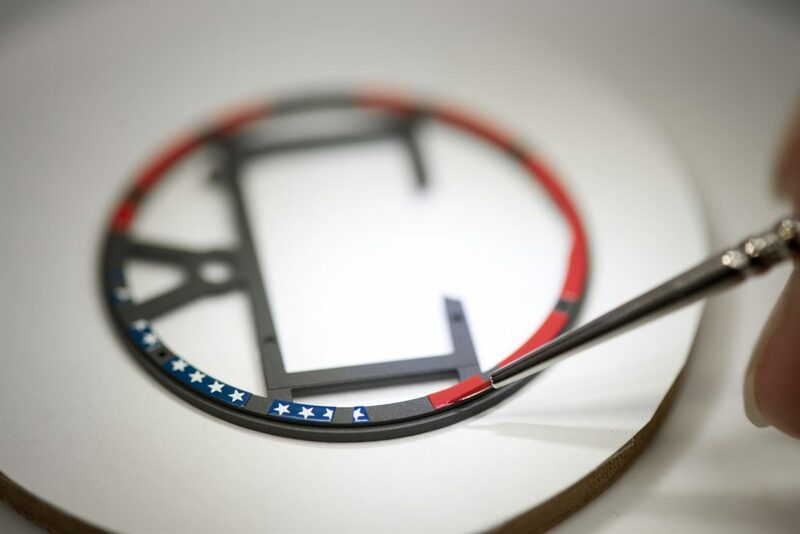 Ulysse Nardin Executive Skeleton Tourbillon Stars & Stripes watch features a micro-painting inspired by the American flag. Movement: Caliber UN-171 Manufacture, 170 hours power reserve, Manual-winding movement Skeleton movement with tourbillon.